An ambitious athlete runs beyond her physical limits, refuses to rest enough and finds herself suffering from plantar fasciitis. An overworked professor sleeps only four hours a night and complains of migraines. A young woman eats too much sugar and not enough protein, and she has dizziness, irregular periods, and anxiety. What’s happening here? All of these people are resisting the laws of nature that Chinese medicine was founded upon. As a result, they’re having health problems. At our Chinese medicine clinic we treat with acupuncture and prescribe Chinese herbal formulas, but also counsel the patient with dietary therapy and ways to lead a healthy lifestyle. Our medicine is personalized to balance each individual and customized based on specific diagnoses. In other words, we devise the best plan for you to attain optimal health and longevity. Acupuncture plays a vital role in the reduction or elimination of pain by reducing recovery time and preventing a chronic condition from developing. Here’s an example: A new patient comes to our clinic with lower back pain. On a scale of 0-10 with 10 representing the worst pain and 0 representing no pain, his pain level is at an excruciating 9. After a careful diagnosis, a treatment plan is devised. Acupuncture points on only his arms and legs (none on his area of pain) are needled. After several minutes, his pain is reduced by 60%. Research has shown that acupuncture causes the body to produce natural steroids and endorphins. These decrease inflammation and help your body to kill the pain. By reducing acute pain, acupuncture can also reduce the occurrence of chronic pain. It can prevent the need for costlier and more invasive surgical procedures. 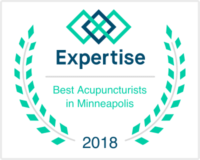 Our unique method of acupuncture at our Edina clinic reduces or eradicates back pain thereby reducing or eliminating the need for painkillers or other medications that cause unwanted side-effects and prolong the patient’s condition. In a 2004 study published in Acupuncture in Medicine, researchers looked at the cost effectiveness of acupuncture for osteoarthritis of the knee compared to the cost effectiveness of pain killers. 75% of the test patients received at least a 45% reduction in their knee pain with acupuncture, and the pain relief lasted past the one-year follow-up. Many of those who experienced that minimum 45% pain relief decided to quit their prescription pain medication completely after receiving the acupuncture. When the doctors did a cost analysis comparing the cost of acupuncture therapy (which was up to 15 treatment sessions) to the cost of pain medication and doctor office visits, they saw a drastic reduction in subsequent medical costs, dropping from $1.10 per day to 21 cents per day after treatment. That represents a $325 savings per patient the first year (even after factoring in the cost of the acupuncture treatments). The conclusion was that patients saved money, were free of the inconvenience of taking a pill several times each day, and had significantly less pain than those who took drugs alone. In an independent 1992 study in Scandinavia, 25% of the patients who were awaiting knee replacement surgery canceled their scheduled surgery after receiving acupuncture, saving $9,000 per patient. Acupuncture research proves that acupuncture treats more than just pain. 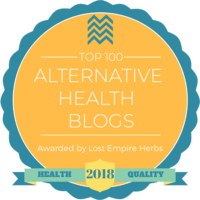 Many people know that acupuncture can relieve your aches and pains, but did you know it can also help you get over colds and flu faster, help you with digestive and bowel problems and more? Acupuncture treats many internal problems like urinary tract infections (UTI), acid reflux, chronic fatigue and IBS. Acupuncture is holistic medicine. There is a saying in Chinese medicine: “Superior medicine prevents disease, and inferior medicine treats disease.” Now, with concern about flu virus traveling around the world, you may want to get your immune system boosted. The truth is that bacteria and viruses tend to adversely affect people who have weakened or compromised immune systems. Many Chinese herbs and formulas have been shown to significantly boost the immune system. One of the main benefits of Chinese herbs is their wide spectrum antibiotic effect for both bacterial and viral infections. All of the herbs at our clinic have been tested and do not have the same unpleasant side effects as drugs. Stress is common in our very fast-paced American lifestyle. Many of us worry about keeping our jobs and having enough money. When we’re in a constant state of stress, we suffer from “fight or flight syndrome,” which is destructive to your body and can lead to serious health problems. Acupuncture and Chinese medicine will help you mentally and emotionally. It is very effective for depression, anxiety, and stress. Acupuncture is based on a complete system of healthcare that includes diagnosis, prevention, Chinese herbal formulas, exercise, and food cures. Research explains in detail how acupuncture works via the nervous system, immune system and blood system. Our licensed, seasoned practitioner can offer you health solutions without the kind of worries caused by pharmaceutical drugs and invasive medical procedures. 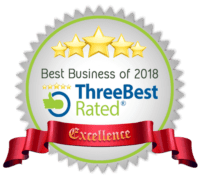 The best thing about acupuncture is that it treats the entire body without serious adverse effects and it promotes optimal physical, mental, and emotional health. For more than 20 years Steven Sonmore helped people transform health problems into solutions for attaining better health. Steven is a licensed acupuncturist, herbalist, & certified Health Preservation Association instructor. His clinic, Complete Oriental Medical Care is in Edina, MN. To schedule an appointment for better health call 952-831-8080 or fill out our contact page now.